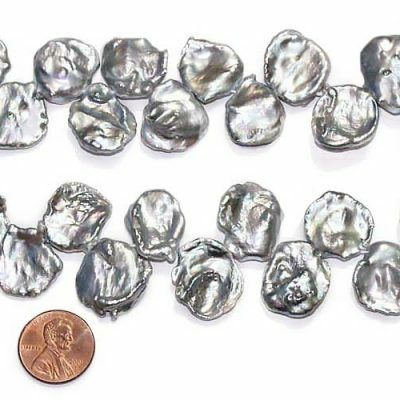 Loose Gray Pearls and Gray Pearls Jewelry – Pearl Farms Direct! Gray pearls bring out the mystery in you. Gray pearls are exquisite, stylish, and even a bit playful. Any woman not only is capable of bringing her best out but has the right to be able to do so as well. Something as simple yet alluring like the gray pearl has that capability. When you have a variety of choices of shades of gray pearls it opens many more fashion doors for you. For example the deeper gray pearls speak of strength and boldness, while the lighter shades give a demure and delicate impression. 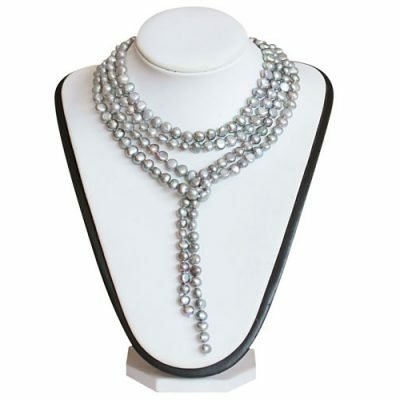 You can get any pearl strand or any pearl necklace in any shade of gray pearls you desire. Whatever shade you want, we can make that gray color and the jewelry just for you! 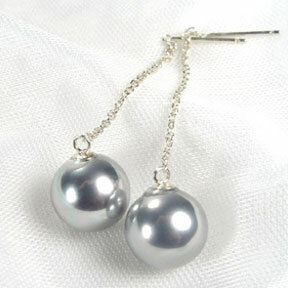 This is just one example of what you can do with some simple and high quality gray pearl jewelry. The key here though is that the pearls must be authentic. If you were to try these techniques with plastic beads they would only serve to discredit your fine features. 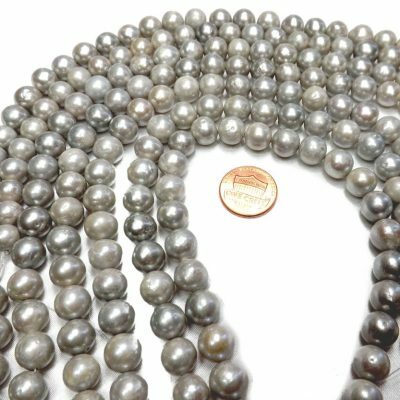 With the quality of the gray pearls combined with the price that they are offered for here at OrientalPearls.net, any woman can afford to have an entire collection of gray pearl jewelry. Learn a few skills of how to mix and match these pieces and you end up with a one of a kind look that will be the envy of all that get to witness your gray pearl jewelry collection. 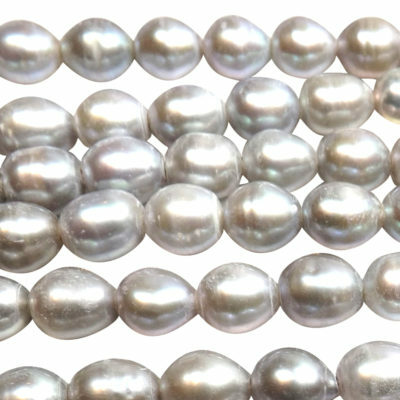 Our pearl strands start from $1.87 per strand. Even a cultured gray baroque pearl necklace and earrings set in 925 sterling silver is only $19.99! Comparing it with any other retail or online jewelry stores, you can see that our prices are considerably lower. 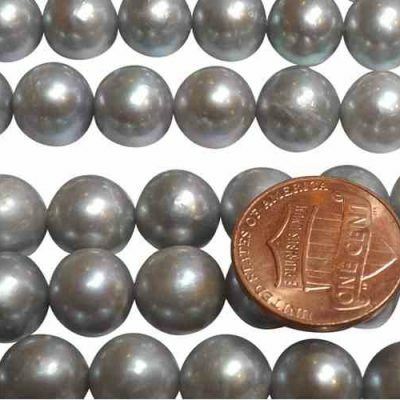 Combine the quality of these gray pearls that can be found here at OrientalPearls.net and then set them in an exquisite pearl setting and you have a piece of jewelry fit for the stars. 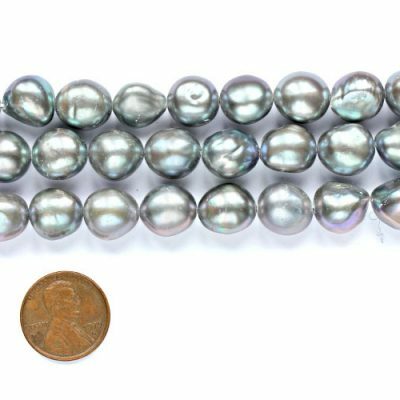 Buying gray colored loose pearls? 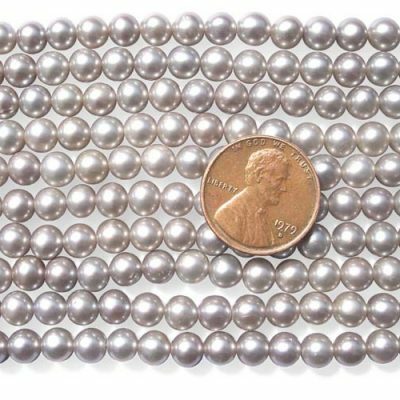 Find all half drilled individual gray colored pearls or pearls on temporary strands in any shape. 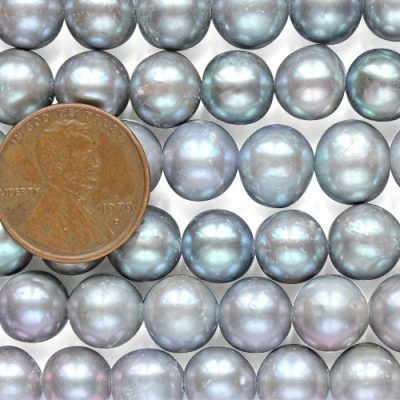 We have any kind pearl in gray in any shape: round pearls, button pearls, gray rice pearls, nugget pearls, potato pearls, biwa pearl strands, top drilled peanut gray pearls, and many more! Turn any Piece of Jewelry into 14k Solid Gold Or Diamond! Love a piece of jewelry but would rather to have it set in 14k gold? Or perhaps you would like it to be set in real diamonds? We can make any piece of jewelry you love, be it gold plated metal or sterling silver, with 14K or 18K solid (yellow or white) gold. Because we are a jewelry manufacturer, we can provide you with the exact style you want, instead of a dealer or a middleman who can only sell you what they have. 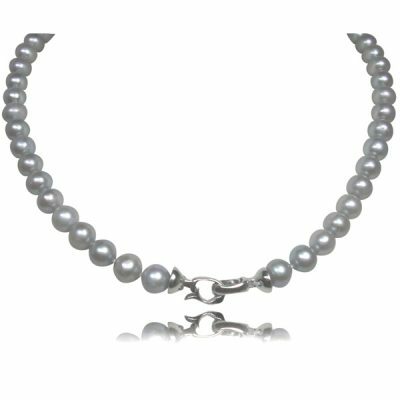 If you want to make your gray pearl jewelry work for you then all you need to do is a little creative planning. You can make that single strand of gray pearls do something extra special. Here is an example. 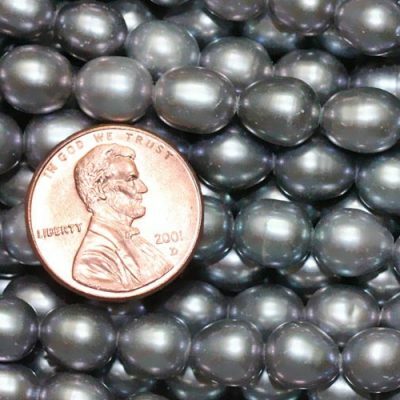 If you wear a black top with a lighter shade of gray pearls then you are complementing both the top and the quality of the pearls. Now if you combine that by wearing a pair of drop gray pearl earrings in a deeper shade, you are creating a complimentary contrast and bringing out the best of your color tones. Don’t forget to combine a good choice of shape as well when you are choosing your different shades of gray pearls and pearl settings. 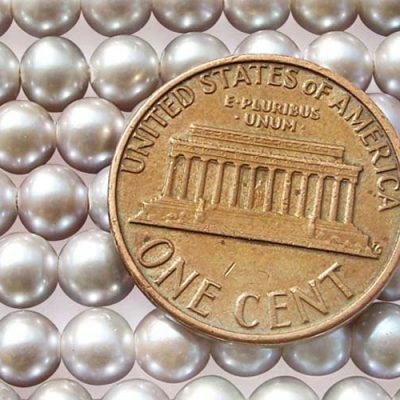 For the bold and daring go for the larger pearls and for those shy and quiet occasions then choose perhaps one of the fine button pearls.While you are building your jewelry collection, be sure to include some gray pearl pieces as well. They will be able to be worn to many occasions!